I don’t know about you guys but when I get home from being away for a while I have this odd urge to make sure everything is back in its place. To those who know me well this is no surprise (I was up on my wedding day at 6am to clean the kitchen, cook everyone crashing at our place a hot breakfast and clean the resulting mess up before anyone awoke). I find it kind soothing. So when I unpacked all of my USA goodies there was a small problem with my brooch bowl- it was exploding like volcano of awesomeness. 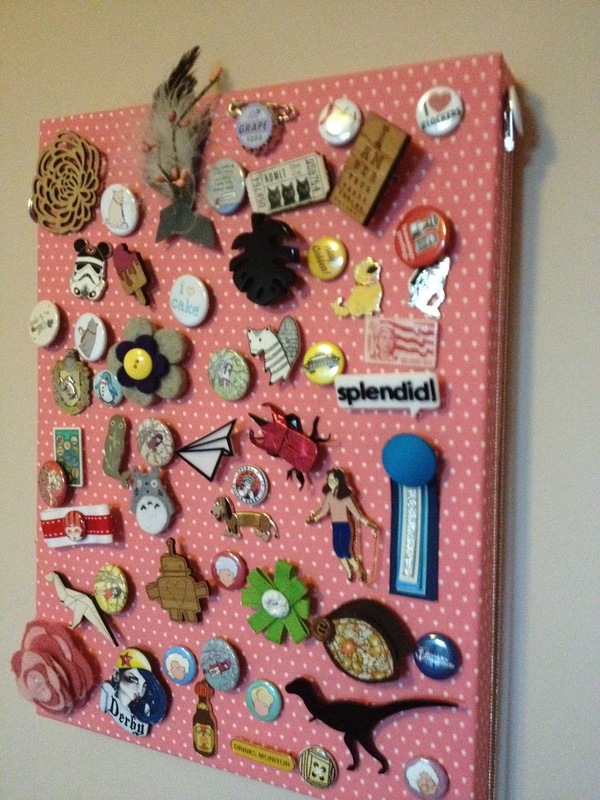 I had reached a critical mass of radness where I could no longer see all of my brooches easily. This needed to be remedied STAT. 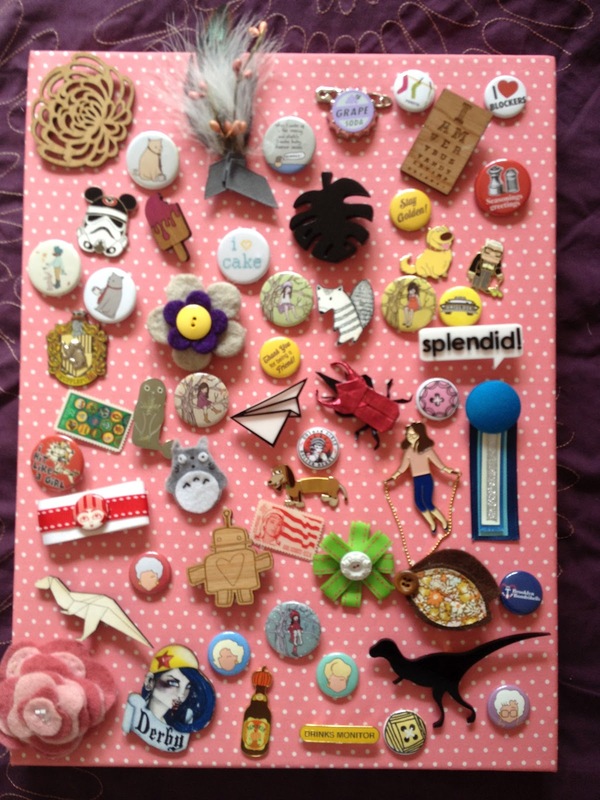 And then because I am a saucy minx with too many brooches I filled it in short order. I love how each brooch has a story attached and reason for making it to the canvas. 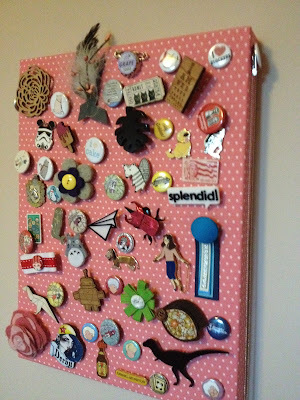 And yes, brooch on the middle right, it is indeed splendid! 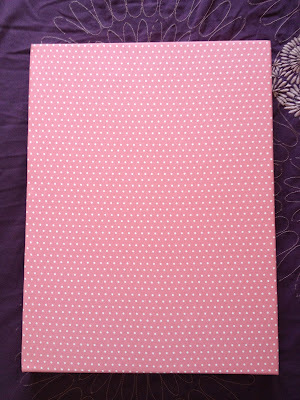 It now is hanging in our bedroom and in my opinion adds a little sass to the space. 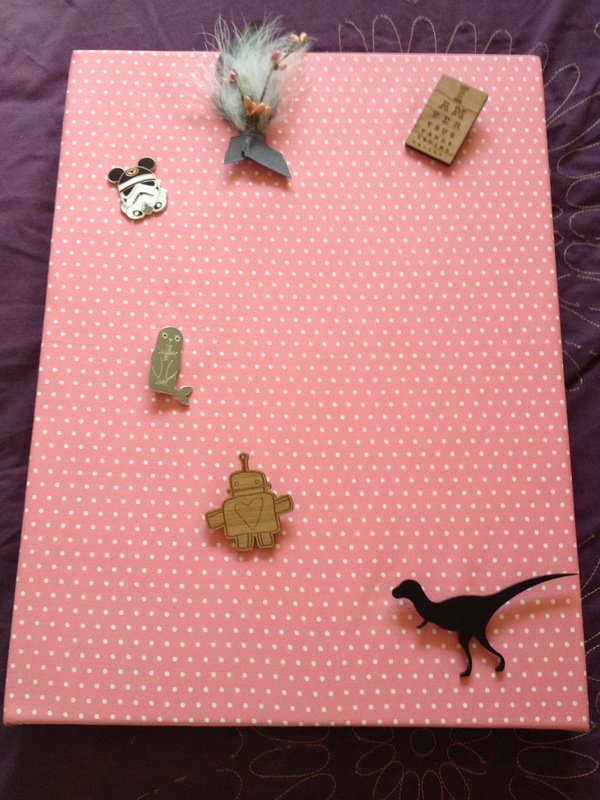 Can anyone spot the Harry Potter World pumpkin juice pin? Now enough diversions, it’s time to get cape-y! Bwah ha ha! Actually, there is a third dinosaur brooch- it is a little button next to the feather number that says “when I wake up in the morning I make sounds like a baby dinosaur reeeeee!”. Pure. Gold. Holy moly that is quite the brooch collection! I really need to get my act together and catch up. Is that a wooden eye chart I spy? How cool! Thanks, Heather! 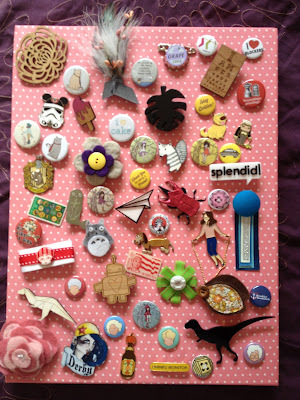 I’ve already added more brooches I found in my wardrobe clear out. I think I need a second!